Great news via Les Blatt at Classic Mysteries. All of Harry Kemelman's Rabbi Small mysteries will be available again in e-book format. Open Road Integrated Media will be bringing them out on Tuesday, July 21 for the Amazon Kindle and for other formats. This series was unique at the time in the realm of "religious mysteries." Rabbi David Small solved mysteries of crime and life using pilpul! If you haven't discovered these books, you're in for a treat. And, if you haven't read them in awhile, I can attest that they are worth a reread. 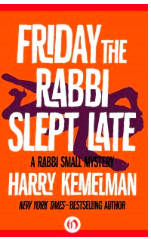 Harry Kemelman (1908-1996) was best known for his popular rabbinical mystery series featuring the amateur sleuth Rabbi David Small. Kemelman wrote twelve novels in the series, the first of which, Friday the Rabbi Slept Late, won the Edgar Award for Best First Novel. This book was also adapted as an NBC made-for-TV movie, and the Rabbi Small Mysteries were the inspiration for the NBC television show Lanigan's Rabbi. 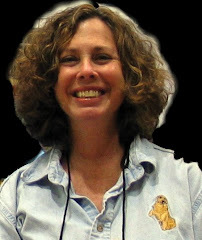 Kemelman's novels garnered praise for their unique combination of mystery and Judaism, and with Rabbi Small, the author created a protagonist who played a part-time detective with wit and charm. Kemelman also wrote a series of short stories about Nicky Welt, a college professor who used logic to solve crimes, which were published in a collection entitled The Nine Mile Walk. Aside from being an award-winning novelist, Kemelman, originally from Boston, was also an English professor. Great news, Janet, thank you. I loved this series, too. And it's been long enough for me to enjoy them all over again. Also loved Faye Kellerman's last book and want to find the ones I missed. But the star for me last year and this: Julia Dahl's Invisible City and, the new one in my TBR pile, Run you Down.